I got nominated for this award by Morrighan from Elysian Fields Book Review. 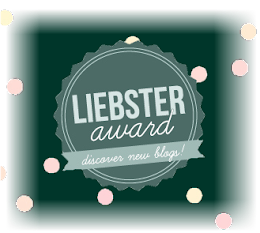 I absolutely love her blog, so of course I was extremely happy and excited that she considered my blog and nominated me for this. However, that was over two months ago and I am doing this post just now. Yes, I know. I am terrible. But in my defense, I put all the blame on the truckload of homework and tests every two weeks thanks to dear old high school. For the past few months, the only posts I have done are just book reviews that I needed to have published by or on a certain day, and blog tours or spotlights that were scheduled. Basically, I didn't do anything else that I had planned to do, including this. But anyway, what I have been up to in the last few months is a story for later. Right now I just want to answer these fun questions and start off the New Year right! Uh Morrighan, do you really expect me to be able to answer this question!? I have a LOT of favorites that I love equally, so I am going to cheat and just go with my most recent favorite, which is Altered by Shelly Crane. 2. What book are you most anticipating reading? Well actually, I have several ones. LOL, I am not very good at choosing just one when it comes to books. ;) Anyway, I am really looking forward to reading Undeniably Chosen by Shelly Crane and Every Last Breath by Jennifer L. Armentrout. I'd also say Cruel Summer by K.R. Conway, but I just got the ARC of it today so I don't have to wait to read it anymore. 3. What is your favorite genre? Least favorite? Why? I absolutely love YA paranormal/fiction category. I am not sure exactly what makes me love this genre so much, but it most definitely is my favorite genre. As for least favorite, well I guess it's nonfiction because I find those pretty boring usually. 4. What female character do you most relate to? Why? 5. What male character would you most like to spend the day with? I am going to go with my most recent favorite and say MJ from the Undertow series, by K.R. Conway. He's funny, sweet, and caring! 6. What is your least favorite book you ever had to review? I don't usually review books that I don't like. If I give a book a rating of 2 or less, I usually don't bother wasting my time writing a review for it. I still rate the book, but I don't really write a full review for it. 7. One of your favorite books that you feel deserves more attention & praise? Undertow by K.R. Conway. It's an amazing book and I really loved it! 8. The most over hyped book you have read this year is...? Stone Cold Touch by Jennifer L. Armentrout. 9. If you could live in one mythical world in a book, which would it be and why? I'd like to live in the world of mages, like Ryanne from the Prophesized series by Kaitlyn Hoyt. The mages have pretty cool powers and they live pretty much like ordinary humans with normal routines & jobs. 10. How many books do you physically own, either ebook or physical? And now time for my nominees! 1. What's your new year's goal for reading (# of books, genres, etc)? 2. What is the funniest or most embarrassing thing that has ever happened to you? 3. Who is your most recent book boyfriend? 4. What are some of your hobbies or talents? 5. How long does it take you to finish reading a book? 6. Do you have any pets, and if so what are their names and how did you come up with it? 7. What is the next book you are planning on reading? 8. What's your most favorite book to movie adaptation? 9. Do you travel often, and if so what are some places that you visited? 10. How many books do you usually buy all at once, and do they usually sit on your bookshelves for a long time afterwards?